Thomas Duryea Logicalis (TDL) is set to launch a dedicated cyber security practice as the company looks to underpin its consulting, advisory, and implementation businesses with risk management. 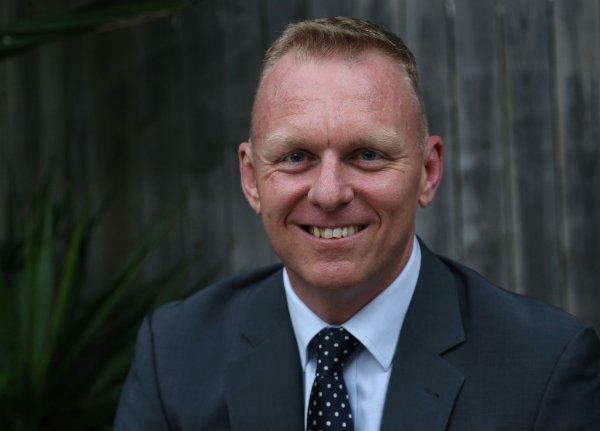 TDL CEO, Michael Chanter - who was recently tasked with running local operations - told ARN that the business unit will work across all other practices in a way which is consistent with how its consulting and advisory business operates. While tied to the consulting arm, the team, for which TDL is currently recruiting, will offer support to all other parts of the business. TDL has been through a period of heavy change in the last year following the purchase of Thomas Duryea by Logicalis in 2015. And Chanter said that prior and during this, the company’s consulting activities identified areas of the business it wanted to strengthen. Chanter explained that through this internal analysis the company identified two areas which it could expand, data analytics and security. “That was a natural thing for us and means we have the four pillars of user, infrastructure, security and analytics covered which are critical for most businesses,” he added. “We saw it as a wrapper around everything and it is something that is being taken increasingly seriously and has become a fundamental discipline. “The market is starting to mature as businesses realise how important it is. Four to five years ago everyone payed some attention to security, if you were a big bank you probably paid more attention, but most people would do the bare minimum,” he said. He said that in the current landscape, such a strategy is insufficient due to increased awareness and the importance of managing risk in particular. “The other thing which has made this critical is that a lot of businesses have done a lot of digital work. The are interconnected, running hybrid cloud so their data, identity management, users and devices are everywhere," Chanter said. This means cyber security has become a more complex proposition and more difficult to execute effectively. “There is an absolute requirement for it but there is also an understanding of its importance. It has become a lot more fundamental," Chanter said. While many partners have decided to build cyber security practices around the Australian Signal Directorate’s (ASDs) “Top Four” and “Essential Eight”, for TDL, a dogmatic approach is not the way forward. “We have always been very pragmatic, for example our consulting and advisory business has always been about developing strategies for clients which are executable and able to be delivered within one to three years," Chanter said. “I am not saying that those principals lack value, they are important but customers struggle with how to put those into practice," he said. The ASD's Top Four is mandatory for all government agencies but some agencies have been called out for non-compliance and have cited complexity as a reason for taking - in some cases - more than three years to implement the policies. “Our ability to stitch together a strong architectural blueprint for cloud, endpoint and data centre, with identity management and threat management across those technologies is a fundamentally valuable piece,” Chanter said. While TDL asserts that such principles are important, the ability to deliver architecture consulting around customer need, strengths and weaknesses, is where Chanter and team see they can add more value to customers and thus differentiate the offering. “Certainly vendors understand specific components of that no vendor has the whole picture,” said Chanter. TDL will be using technologies from Microsoft, Palo Alto and Cisco amongst others but Chanter stressed the need for a combination of strong technologies paired with effective consulting, is the way forward for the cyber practice. As an increasing number of TDL customers are looking to undergo full business transformation projects, Chanter explained that cyber security would underpin these projects. “In order for businesses to achieve goals, they are bringing the outside world closer and that presents challenges. It has to be executed in technology but also in how people conduct their business,” he said.